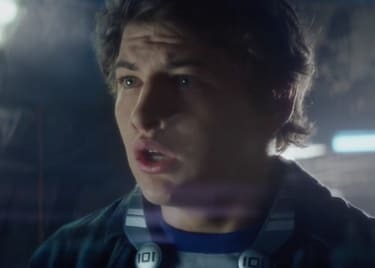 Back to the Future‘s DeLorean, The A-Team, Harley Quinn, and Freddy Krueger are only a handful of the pop-culture references in the first trailer for Ready Player One. Ernest Cline’s 2011 novel, the basis for the film, has far more nods than those in its futuristic story. The film has a far more noteworthy factor, however, as it is directed by the man who forever changed pop culture: Steven Spielberg. Ready Player One is set on a dystopian Earth of the future. The world is desolate, plagued by overpopulation and pollution. Citizens escape poor living conditions by living in the OASIS, an interconnected virtual reality space. In the OASIS, people can work, get an education, and find entertainment. The founder of the OASIS dies, but leaves behind a message announcing a special contest. Whoever finds a treasure hidden in the OASIS will gain ownership of the virtual space, as well as the founder’s $240 billion fortune. We enter the story via teenager Wade Watts (Tye Sheridan), who undertakes a journey through OASIS to find the treasure. The hunt features a series of challenges and puzzles. Wade has help from friends, but he’s not the only person on the hunt. A corporation has its eyes set on ownership of OASIS, and the CEO enlists an army of professionals to seek out the treasure. 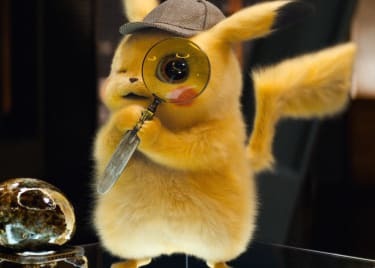 The hunt for the OASIS Easter egg is a special nod to clever notes and references hidden in video games and other media. Fans have all seen some example of this over the years. You may not be aware of the origin of the Easter egg, however. Easter eggs in media started as messages hidden deep within game worlds, to be found by dedicated explorers. The Atari 2600 game Adventure , in which players explored castles and fought dragons while seeking a magical chalice, helped coin the Easter egg phrase thanks to the work of the game’s programmer. Atari programmer Warren Robinett led the work on Adventure, but Atari wasn’t completely stable at the time. Many company changes occurred during the game’s development. Ray Kassar was promoted to president and CEO of Atari during the game’s development in 1978. Kassar decided to take the developer names off Atari’s game boxes, crediting only Atari as a whole. Because of this new approach, Robinett finished Adventure and then left the company. But he left behind a legendary secret. While developing the game, Robinett left a secret message within the game. Hidden in one of the game’s castles is a gray dot. When the player picks up the dot, it displays the message “Created by Warren Robinett.” Since he didn’t receive royalties or credit for his work, Robinett found a way for fans to know his role in creating the game. In less than a year, a teenage boy found the secret chamber housing the message. The boy actually wrote a letter to Atari about the hidden message. Atari executives were angry at first but the popularity of the secret helped change their minds about the idea. The Adventure Easter egg went on to invent a movement within video games that continues today. There are claims that Easter eggs appeared prior to Adventure‘s release, but Atari’s game was the first major discovery. The excitement of Easter egg hunting continues as a tactic for media and has transformed into something very different, and less hidden, in recent years. 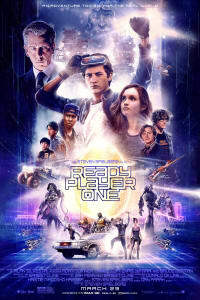 It will be nearly impossible to catch Ready Player One‘s use of references and Easter eggs in just one viewing. Ernest Cline is just as nostalgia-obsessed as the characters in his story. His character James Halliday, the founder of the OASIS, keeps a journal, Anorak’s Almanac, which details his love of ’80s games, movies, and pop culture. By dropping those references throughout the OASIS, Cline also gives readers a story full of pop-culture characters and concepts. The fact that the the story also centers on hunting the ultimate Easter egg shows just how Atari inspired Cline. Part of Wade’s treasure hunt might remind viewers of Atari’s classic gameplay. Cline even created his own Easter egg hunt as a promotion for the book. A hidden clue within the novel led to three video game challenges. The challenges fittingly involved the Atari 2600, and the winner went on to receive a DeLorean. Now Cline gets his own ultimate prize: seeing his story play out on the big screen, directed by Steven Spielberg. Pop culture fans and Easter egg hunters will be busy when Ready Player One hits theaters on March 29, 2018.